A 22-year-old male pedestrian suffered critical life-threatening injuries after being struck by a vehicle while he was walking in the outermost northbound lane of the Maui Veteran’s Highway in Kīhei, police said. 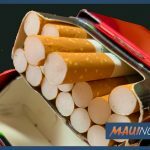 The incident was reported at 1:19 a.m. on Saturday, Feb. 9, 2019 on Maui Veteran’s Highway south of Mile 6 in Kīhei. Police say the man was struck by a red 1996 Jeep Cherokee traveling north in the same lane. The driver of the vehicle, a 33-year-old woman, was not injured in the collision. An initial investigation reveals she was wearing her seatbelt at the time of the crash. The pedestrian was transported to the hospital for further care. Police reopened the roadway at around 4 a.m. 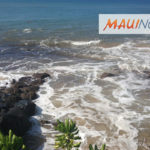 The initial closure involved the northbound lane from North Kīhei Road to Pi’ilani Highway and the turn lane from North Kīhei onto Maui Veterans Highway.